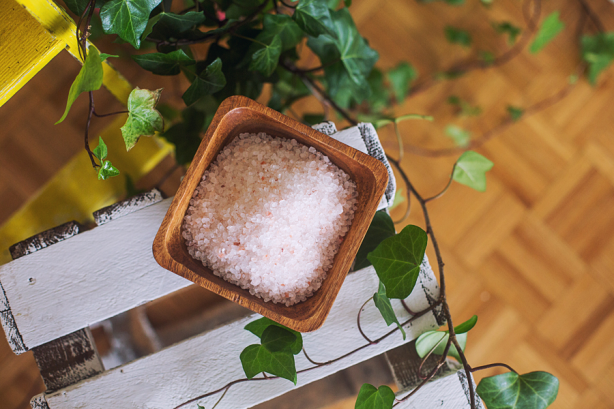 Himalayan salt is regarded as one of the purest forms of salt on the earth. Far superior to other salts originating from various oceans, it is rich in over 80 trace minerals not found in sea salt. Mined mostly by hand from ancient sea beds deep in the Himalayan Mountains, it has not been contaminated with pollutants pervading the air and oceans. The salt colour varies from soft light pink to a deeper orange red tone. Different grades are available from fine granules to medium and very coarse grind. Great for healing and detoxifying baths, air purification, neti pots, salt scrubs. It’s also a far more delectable and tasty choice for food flavoring and cooking because of the enhanced mineral rich composition.